mafi floors have a porous surface, which has a very positive effect on the room climate. Thanks to these open pores, the air circulates in a special way. The floor absorbs humidity and can release it again. With a sustainable effect: the wood filters out pollutants from the air during this process. Cleaning with warm water and wood floor soap gives the floor additional moisture, which also has a positive effect on the indoor air. In parallel, the soaps high fat content ensures that fine dust particles can be easily wiped away. Especially people with allergies benefit from these advantages. In addition, the ecological natural wood floors bring a special cosiness and pleasant climate into living. 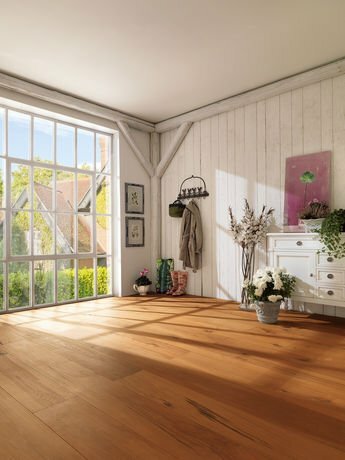 The room climate is a decisive factor both for your health and for your natural wood floors. At a temperature of 21°C and a relative humidity of 40 - 60% the ideal conditions are reached. The mafi planks are finished with natural oils and air dried. 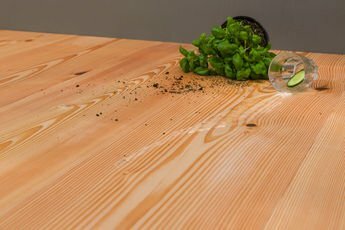 Thus, the oil can slowly penetrate into the entire plank and provide stability from the inside out. An important effect of this approach is that no layer is created between people and the wood, as, for example, is the case with varnished, waxed or UV cured oil. 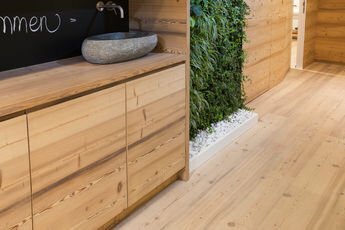 The wood floor is therefore always warm under foot and in combination with the brushed surface delivers a barefoot well-being. Regular airing, indoor plants and humidifiers positively affect climate the room climate and can be used as controlling elements. Especially in Winter, the room climate should be monitored. 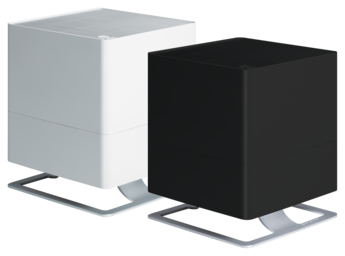 mafi offers a portable hygrometer to measure the humidity. Matching this, we also offer humidifiers and air cleaners in the range.